After many months in beta, Clarify 2 is finally here! We want to offer a big thanks to the many beta testers that have added such great feedback and have helped make Clarify 2 a better product. 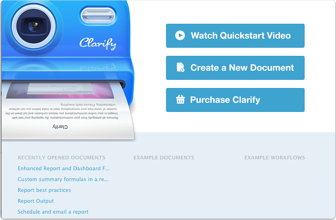 We are happy to announce the public beta of Clarify 2. If you don't like reading, just click here so you can download it. But if you want to read more about it before you download the beta, we have a few bullet points that highlight some of the major changes.